Once this starts happening you will likely need to call in a foundation repair specialist to assess the damage and cost to do a foundation repair. A cracking or sinking foundation can compromise the integrity of your home’s structure, leading to much anxiety on the homeowners part. 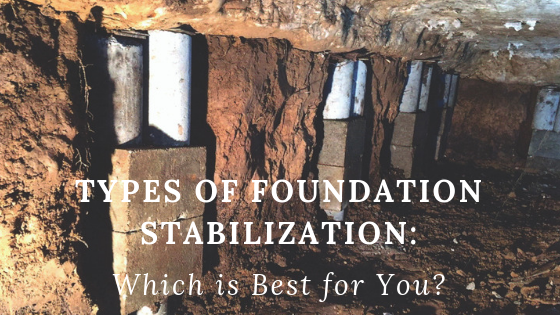 Let’ discuss the different soils and how they can affect the foundation beneath your home. Building on top of bedrock that has very little topsoil can be challenging. You do not get a more compact soil than bedrock. You need to first find a building site that has bedrock that your builder can dig into without having to drill or blast. Drilling or blasting can be very costly and there is no guarantee that it will work in the end. Rain water can also be a problem with bedrock if the builder does not have a great foundation drainage system. Rain water will penetrate the topsoil and begin to travel sideways when it hits rock. This can lead to a buildup of moisture along your foundation or inside your basement. This can lead to needing a foundation repair, because of rot and possibly mold. The only way to know for sure whether you need a new foundation or a repair is to call in a foundation repair expert. However, with an experienced builder, bedrock provides all of the soil compaction your foundation needs. Silt soil can be smooth and almost slimy to the touch. This is because this soil type retains water very well. This allows the soil to have good compaction. However, it’s ability to hold water for longer periods of time make this a poor material for building a home. The soil remains cold and wet do to the inability to drain well. As the silty soil absorbs water, it pushes against the foundation and weakens it - causing a need for a foundation repair. Sand/gravel acts in just the opposite manner of silt. This soil has the largest particles of the different soil types. This soil type also will not hold moisture, but drains easily, because of it’s large openings. 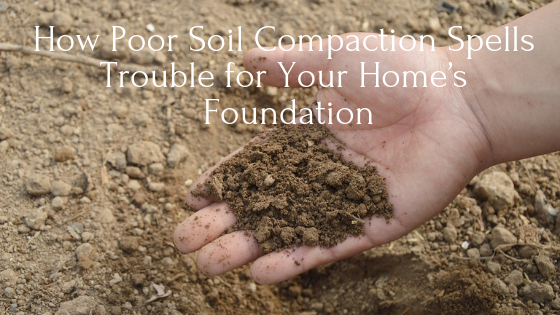 When this soil is moist and compacted it will make a good base for your foundation. The problem, as foundation repair experts will tell you, is that this soil will lose the ability to support the foundation if too much moisture remains in it. A sand/gravel foundation support makes for a mostly stable foundation, but you will need a good drainage as with the silt and bedrock foundation. Clay holds water well because it is made up of small particles. The ability to hold water can make it difficult to have a stable foundation in this medium. The clay will expand greatly when it is holding moisture. It is extremely pliable and can be easily moved and manipulated. However, when the clay dries out it will shrink significantly. This can cause the foundation to weaken and possibly crack. The extreme changes in the moisture of the clay will put a great pressure on your home's foundation, leading to a foundation that will start to move and buckle over time. The result of which is a need for calling in a foundation repair expert. Possibly leading to a foundation repair. This makes clay one of the poorer supports for any home foundation. What do most foundation repair experts recommend to potential home builders? That would be a soil that is referred to as loam. Loam is the ideal soil type for a home’s foundation to be built upon. So you are probably asking right about now what loam is. Loam is a combination of several different soils. It contains sand, silt and clay. It is soft, dry and crumbly when touched. Do not let the smoothness of the soil fool you. Loam is a great base for your home’s foundation. The reason loam makes the perfect foundation base is because it is so well balanced. It can absorb water well, while still allowing for good drainage to happen. The loam will need to be compacted as well as maintaining the right combination of different soils in order to achieve the objective of a good foundation. A foundation repair expert can inspect your foundation and be able to tell you what type of soil it rests on. 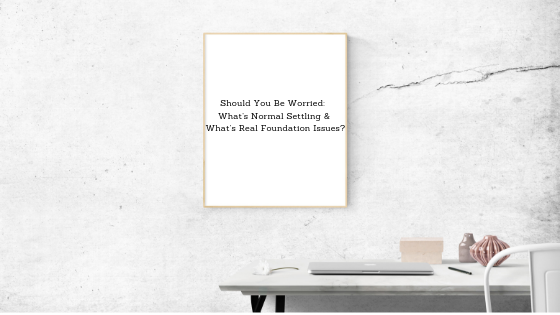 This can help you understand what problems you might be up against and help prevent you from having a foundation repair. There are other soil bases that can be used under the foundation of your home. However, the soils we discussed are the ones that the foundation repair experts will most likely be talking to you about. This is why choosing the right foundation repair expert is going to be crucial to your homes health and families happiness for years to come.